What Are Pre-Workout Supplements And How Do They Work ? Generally suitable for both Men and Women gym goers, these are a great way to boost energy, improve focus and maintain endurance throughout tough workouts, these powders, shakes and pills can be an incredibly powerful tool in your fat burning and muscle building arsenal. Often the product of extensive research and testing, these products contain scientifically-formulated blends that work in synergy to support a number of the body’s key functions, often containing powerful combinations of natural vitamins, minerals and herbs. You’ll find a number of key elements repeatedly pop up as you research pre-workout supplements, which all work to improve the amount of weight you can shift during workouts, boost strength, build muscle, boost energy levels and speed up recovery times. CAFFEINE – this stimulant binds to receptors in the brain to increase alertness, keep nerve activity at a peak and reduce the feeling of effort while training, enabling you can push further. ARGININE – this quickly and easily converts to nitric oxide, which dilates the blood vessels during exercise to nourish muscles and support everything from recovery, endurance and energy to reducing fatigue and tightening muscles. CREATINE – this gives muscles a quick, powerful energy boost by creating an excess of energy molecules, and pulls water into the muscles to support muscle pump and growth. TYROSINE – an amino acid that boosts energy, focus and mood by producing hormones and neurotransmitters. BETA-ALANINE – this amino acid combines with the amino acid histidine in muscle cells to form carnosine, which supports muscle strength. 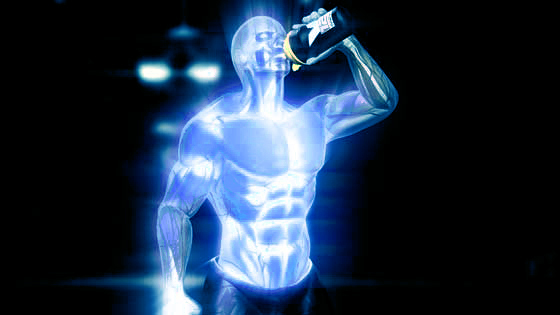 TAURINE – another amino acid, taurine that helps support muscle endurance and strength. It also draws water into the muscles and increases blood flow to the muscles. BETAINE – this modified amino acid is known to boost muscle strength and power by as much as 25%. GLYCEROL – this attracts and binds fluids to muscle for greater pumps. BRANCHED-CHAIN AMINO ACIDS (BCAAs) – these encompass leucine, isoleucine and valine, which work to drive muscle growth, boost energy and fight fatigue. CITRULLINE MALATE – a combination of the amino acids citrulline and malic acid, citrulline malate removes ammonia from the body – this increases energy levels, speeds up recovery times and delays the onset of fatigue. For those new to the pre-workout supplement world, the sheer amount of choice can seem overwhelming. There’s a specialised formula for every goal, whether boosting energy, shedding fat, sculpting lean muscle mass or boosting strength. And that’s before you decide whether to opt for pills, powder, shakes or snacks! Pills remain a popular pre-workout supplement choice – easy to consume and powerful, products like Nitrocut and Capsiplex Sport continue to dominate bestselling lists… that said there are many powder based supplements that can be taken with water or milk – the choice is massive. When beginning your supplement journey, it’s important to do your research and be aware that claims made by manufacturers aren’t always substantiated by hard facts. Finding the right supplement can be a work in progress, but as long as a healthy eating and exercise routine is at the centre of your journey, you’re bound to reap some serious benefits.